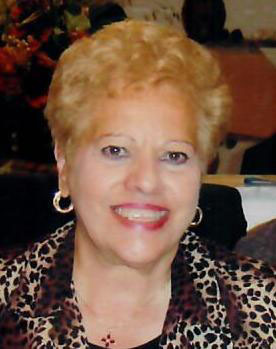 Obituary for Frances Caldararo | Ralph Giordano Funeral Home, Inc.
Our dear mom, Frances Caldararo (nee) Sandella) passed away peacefully on January 23, 2019 surrounded by her children and grandchildren, at the age of 87. She was the beloved wife of the late Nicholas, the love of her life and the sister of the late Gilda Perri. She loved to be with and cook for her family and she enjoyed the company of her many dear friends. She is survived by her children, Gregory, Maryann (John), Kenneth and Loretta (Anthony). Her joy was her cherished grandchildren, John (Melissa), Stefanie, Anthony and Tyler and her great grandchild, Marcella. We were blessed to have such a beautiful and loving mother. We will forever cherish all the wonderful memories we made. We take great comfort in knowing that she is reunited with and, once again, dancing with our dear dad. We are thankful and grateful for all the love and support from family and friends during this difficult time. If you would like to make a donation in Frances' name, please consider the following: Michael J. Fox Foundation for Parkinson's Research and The Alzheimer's Foundation of America.